It’s time for ‘Japan by Prefecture‘ again! This is the series that aims to provide the highlights of each prefecture of Japan, along with my personal favourites and suggestions from readers. 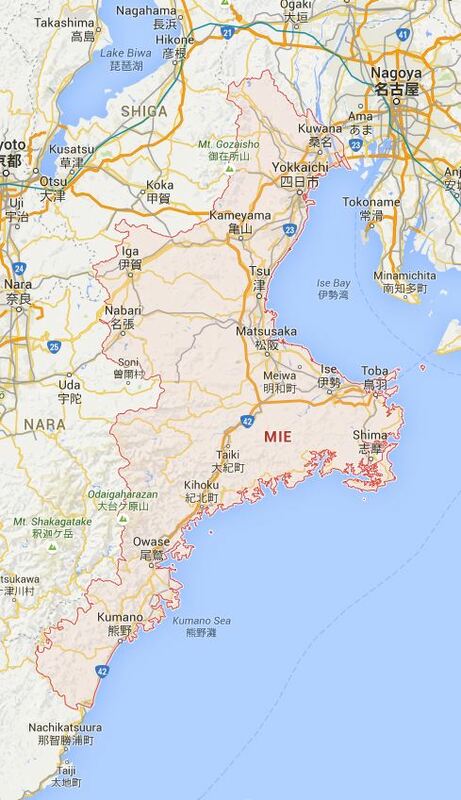 This week, we’re looking at Mie (三重県). Mie Prefecture is part of the Kansai Region (関西地方) and the capital is Tsu (津市). Mie Prefecture isn’t somewhere a lot of tourists go to, and there aren’t that many tourist attractions there, but it certainly does have some highlights. Thanks to Japan Australia for leaving some great suggestions in last week’s comments! My favourite place in Mie Prefecture is Ise Jingu, or the Ise Grande Shrine (伊勢神宮) – a sight consisting of two shrines which are Shinto’s post sacred shrines in Japan. 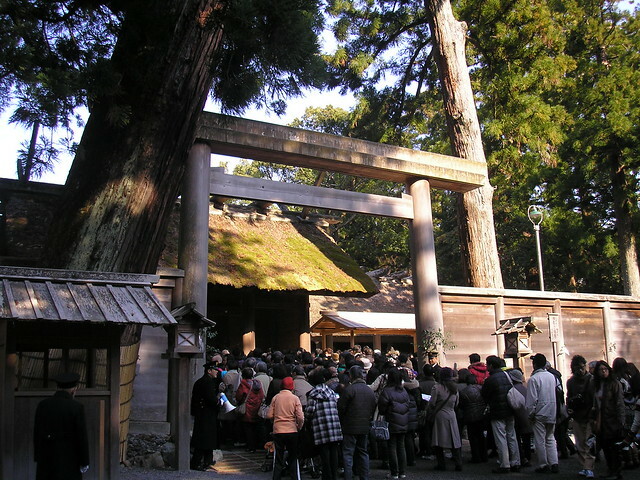 The two shrines which make up Ise Jingu, Outer Shrine (Geku / 外宮) and Inner Shrine (Naiku / 内宮), are several kilometres apart from each other and surrounded by dense woodland. 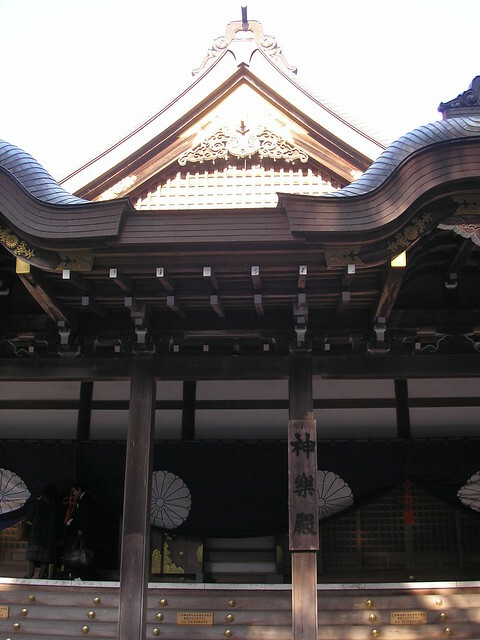 It is believed that Naiku was established in the 3rd century and Geku in the 5th century – these are old shrines! I’ve visited Ise Jingu a few times and have always loved it. It’s a beautiful area, and although the shrines themselves are very plain and simple to look at, you can feel how important they are. The natural area surrounding the shrines is really lovely, and I also love Oharaimachi, the traditional approach to the Inner Shrine which is a bustling street filled with little shops and restaurants selling souvenirs and food. 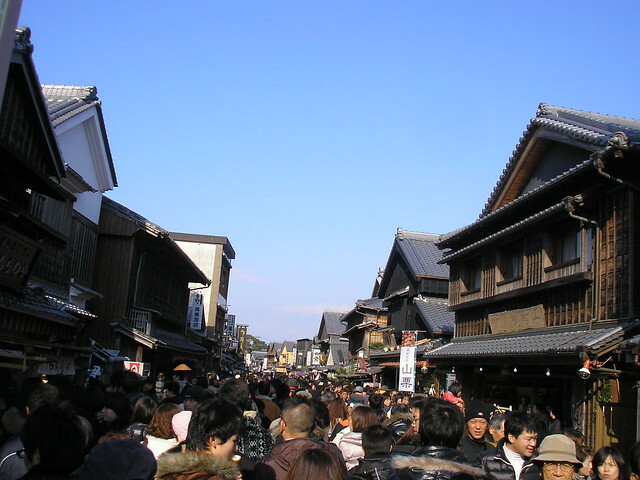 About halfway down Oharaimachi is Okage Yokocho, which is a small district which recreates the atmosphere of the past (roughly from the Edo Period to the Meiji Period). 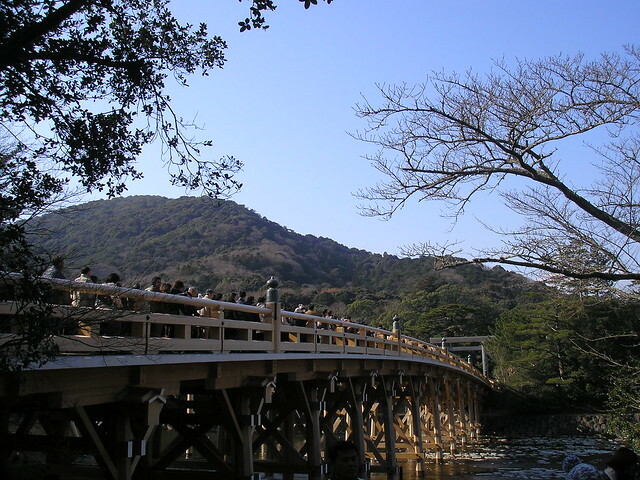 Another key point of Ise Jingu is the Uji Bridge (宇治橋). The Uji Bridge is 100 metres long and stretches across the Isuzu River at the entrance of Naiku. Like the shrine buildings of Naiku, the bridge is rebuilt every 20 years. Geku is in central Ise, about a 5 minute walk from Ise-shi Station, and Naiku is several kilometres from the station (15 minutes by bus). Ise is in the Shima Peninsula (志摩半島) – look for the sticky out bit on the map above. Most people visiting this area will be doing so for Ise Jingu, but the Shima Peninsula has more to offer than just the shrines. 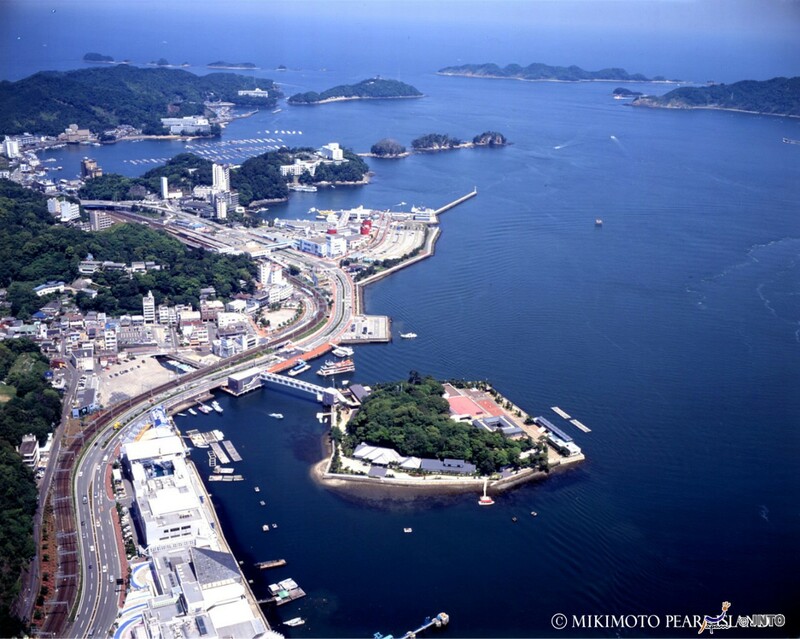 Another attraction of the Shima Peninsula is Mikimoto Pearl Island (ミキモト真珠島). Mikimoto Pearl Island, which is a short walk from Toba Station, is a museum about pearls and pearl cultivation. Kokichi Mikimoto (御木本 幸吉) (1858 – 1954) was the first person who succeeded in cultivating pearls and he was born in Toba in 1858. In the museum you can learn more about the life of Mikimoto and the first pearl store he opened in 1899. 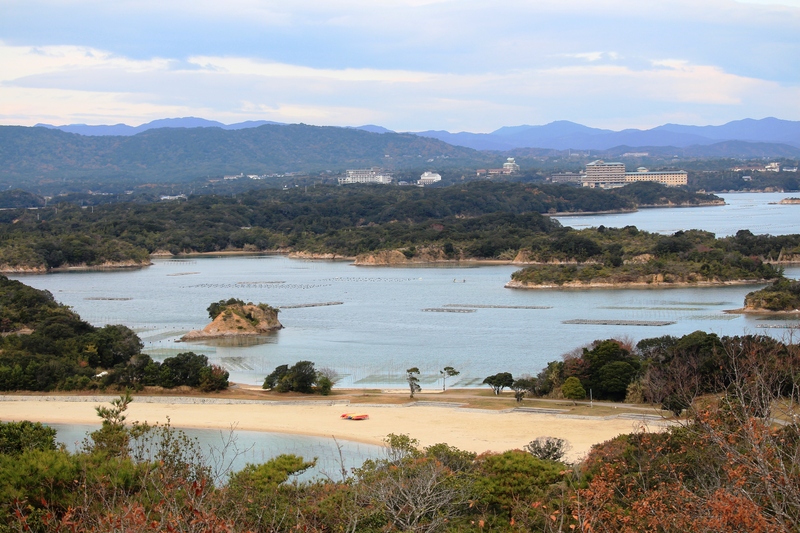 The Mikimoto Pearl Island offers demonstrations by female pearl divers known as ‘ama’ (海人 / 海女) (literally, ‘sea women’) who have traditionally been planting and harvesting the oysters. 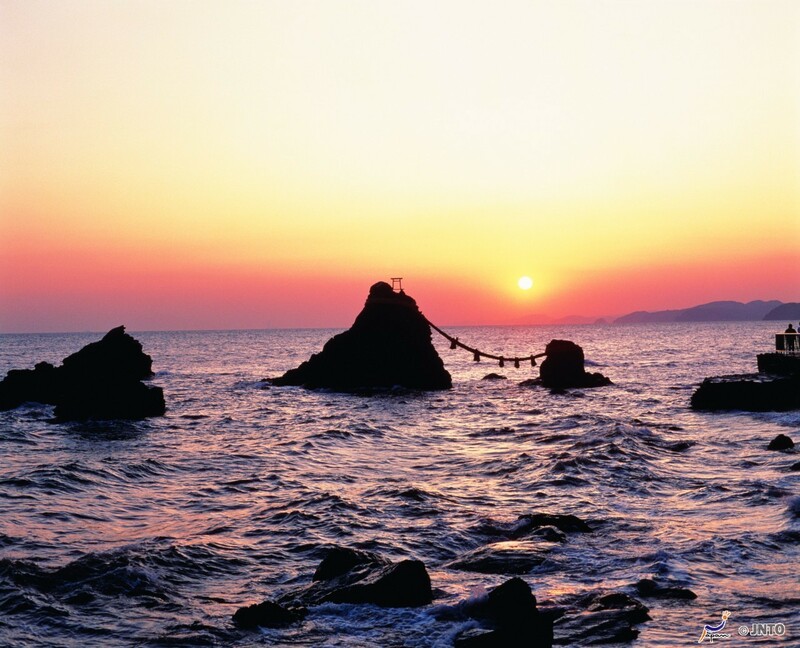 If you find yourself in Mie Prefecture and in the Shima Peninsula, another lovely place to visit is the Meoto Iwa (夫婦岩), or the ‘Wedded Rocks’, near Futami (二見). These two rocks are joined by a heavy rope made of rice straw called a ‘shimenawa’ (標縄・注連縄・七五三縄). This type of rope is used for ritual purification in the Shinto religion, and they can often be seen tied around trees at shrines. These rocks apparently represent the union of the creators of ‘kami’ (神) (gods or spirits in the Shinto religion), Izanagi and Izanami. The larger rock, said to be the male, has a small torii (鳥居) gate at its peak. The Shima Peninsula has some beautiful spots, and right at the southern tip is another – Ago Bay (英虞湾). Ago Bay is an island dotted bay with a scenic and rugged coastline, famous for pearl cultivation and oysters. The largest island in Ago Bay is Kashikojima (賢島), which was uninhabited until the 1920s when a railways was constructed there. It is possible to take a sightseeing boat out amongst the islands, which must be absolutely lovely in nice weather! Leaving the Shima Peninsula behind, one final place I would like to mention in Mie Prefecture is Iga Ueno (伊賀上野). Iga City (伊賀市), commonly referred to as Iga Ueno, was formed in 2004 with the merger of Ueno City and five surrounding towns and villages. The town is named after the former Iga Province, which covered part of today’s Mie Prefecture. Iga Ueno is the birthplace of haiku poet Matsuo Basho (松尾芭蕉) (1644 – 1694), and there is of course a museum dedicated to his life here. For that reason alone, I would quite like to visit Iga Ueno one day. The Basho Memorial Museum exhibits scrolls of poems written by Basho and maps showing the routes he took on his travels. There is also a building called Haiseiden Hall in Ueno Park which commemorates the 300th anniversary of Basho’s birth. A haiku festival is held here every October. 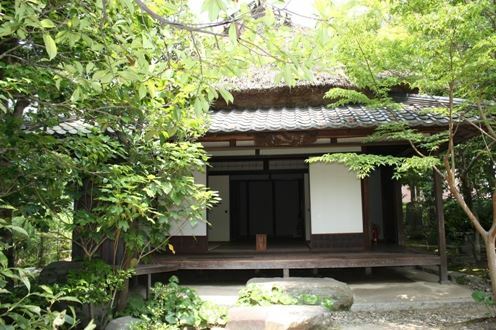 Basho’s Birth House (芭蕉翁生家) is also maintained as a museum, giving visitors the opportunity to see what Basho’s living conditions would have been like when he was young. Also near his birth house is Minomushi-an (蓑虫庵), a retreat which Basho used to go to when he needed to sit in peace to write. This is apparently where he wrote his famous haiku: ‘The old pond / A frog jumps in / The sound of water‘. Minomishi-an – I could do with one of these! 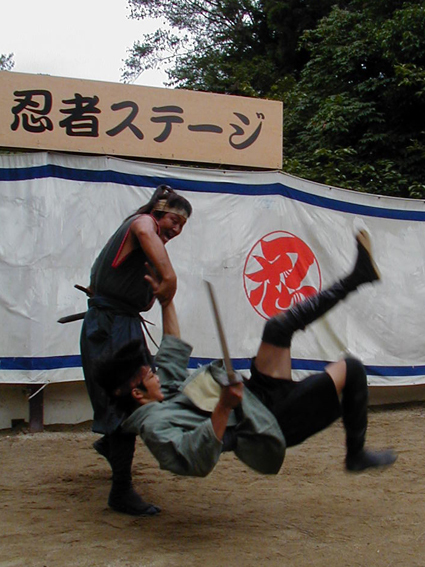 Iga Ueno is also famous for ninja, and there is sometimes a debate about whether or not Basho himself could have been a ninja! The Iga School of Ninjutsu in Iga Ueno was one of Japan’s leading ninja schools, and today visitors can learn all about the art of the ninjas in the Iga-ryu Ninja Museum (伊賀流忍者博物館). 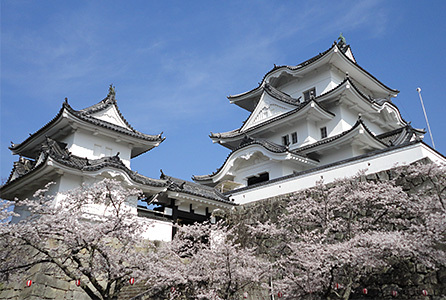 The museum includes displays of ninja tools and weapons, buildings with trap doors and hidden compartments, and ninja shows for tourists (in Japanese). Finally in Iga Ueno is Iga Ueno Castle (伊賀上野城). Iga Ueno Castle was originally constructed in the late 16th century, but was destroyed less than 50 years later. The castle was rebuilt in 1935 using only wood (rather than the concrete most castles were reconstructed with), giving it a beautiful, original look despite being a reconstruction. The stone walls on the western side of the castle are the tallest in Japan at 30 metres high. There aren’t that many famous souvenirs (or ‘omiyage’ / おみやげ) from Mie Prefecture, but one that does come to mind is ‘nagamochi’, which is a kind of long, pouinded rice cake filled with sweet red bean paste. Another Japanese sweet famous in this area id ‘akafuku’ or ‘red happiness’, which is also a mochi rice cake but this time topped with red beans rather than filled with them. ‘Akafuku’ are available in Oharaimachi in Ise Jingu and there is a famous old tea house called Akafuku selling them. There us a kind of snack called ‘katayaki’ made from wheat flour and sugar which is a popular souvenir from Iga. These snacks apparently used to be carried by the Iga ninjas. Of course, pearls are popular in this region too! Next week I will be writing about Shiga (滋賀県). Have you been there? What’s good to eat there and what omiyage should I buy? What are the best sightseeing spots or hidden gems? Please do share your thoughts below, and join me next week for Japan by Prefecture! Looks like a beautiful area! Where do you get the time to write so much? For Shiga prefecture – I’d like to suggest Mt Hiei! Otsu which is super close to Kyoto has some lovely temples such as Miidera and Ishiyamadera – both great spots for cherry blossom season. « Winner of Japan Journeys by Andreas Marks announced!